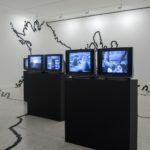 A pioneering figure in video art, Juan Downey was attracted to the medium due to the real-time immediacy of its closed circuits combined with the innumerable possibilities it offered for playback and feed-back. 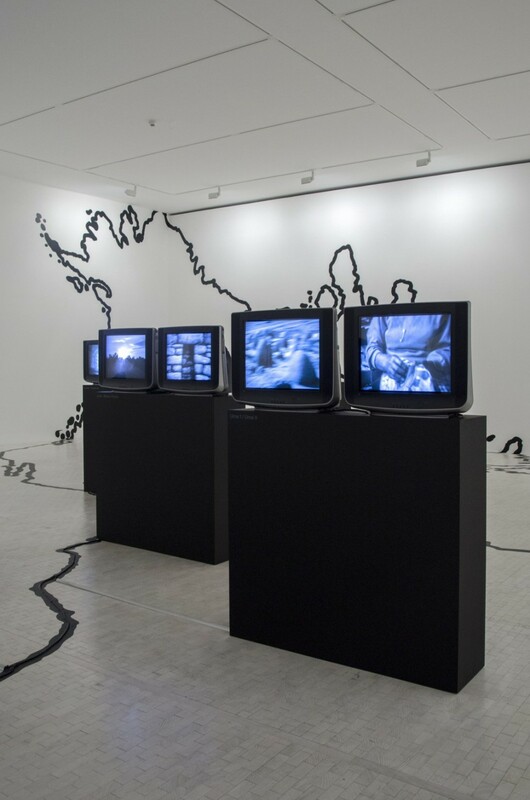 One of Downey’s most ambitious video-feedback works is Video Trans Americas. Between 1973 and 1976, he embarked on three successive journeys that took him from New York to Mexico, Guatemala, Peru, Bolivia, and Chile, during which he recorded the indigenous culture of each place, employing a documentary style. He would then show these videos to the inhabitants of each place, and to others he met further along the trip, positioning himself, as he said, as a “cultural communicant.” By playing back a single culture in its own context, video becomes an instrument of political and social transformation.